Dometic thermostats are a brand of thermostats that regulate the operation of your furnace and air-conditioning system to maintain the temperature of your home at a desired level. Proper setting of a thermostat can help lower your utility bill. When you leave your home, set the temperature higher in the summer and lower in the winter. According to the U.S. Department of Energy, you can save 5 to 15 percent on your annual utility payments by doing so. Checking a Dometic thermostat is a quick and easy process. Take note of the four vertical switches on the thermostat. From left to right, they will be the switch to determine heating or cooling, two switches for the fan and a switch to set the temperature. One fan switch turns fan on or off, while the other switch determines its intensity. Set the thermostat for whether you want your home to be warmer or cooler. Depending on which model you have, the heating and cooling switch will have some combination of options including "Heat Pump" "Heat Strip" "Furnace" "Cool" and "Off" All heating options require you to wire your thermostat to the corresponding device in your household before it can affect the temperature. 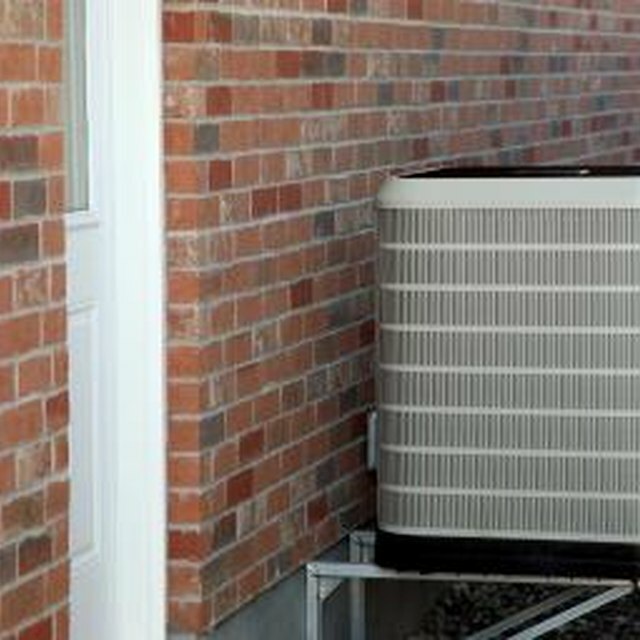 Set the system lever to "Furnace," "Heat Pump," or "Heat Strip," in the cool seasons. Set to "Cool" for the warm seasons. Turn the "Fan" on or off. This switch is located to the right of the heating and cooling switch. If you are warming your house, set the "Fan" to "Auto" This will cause the fan to only run when the home needs cooling. Set it to "On" if you need to lower the temperature in your home. If you set it to "On," take note of the switch directly beneath the "Fan" switch. Choose from either of the two options, "Hi" or "Lo". Set the thermostat to the desired temperature. The switch to the far right allows control of the temperature. Moving the switch up or down allows you to select what temperature you want your Dometic thermostat to reach for your home. Celsius will be to the left and Fahrenheit to the right of the switch.